You step into a grocery or apparel store. Your phone alerts of some incoming message. But this time, you didn’t get the same annoying promotional message, rather a warm welcome message from the brand, sent through its app that you might have forgotten after getting it installed first. It reminds you of the reward points you earned over the last year, and of amazing redemption offers. This is just one single attribute of the Internet of Things or IoT application development. In fact, it is all set to redefine supply chain operations, collaborations, tracking and the in-store shopping experience. Experts at White House Office of Consumer Affairs are of the opinion that 80% of U.S. consumers are happy to pay more for a product or service to ensure a superior customer experience. The importance of customer satisfaction loyalty and advocacy is well understood in the retail industry. But earning that demands substantial efforts, investment and commitment. Learn how joining hands with an IoT application development company, you make a difference to your business bottom-line. According to Louis Columbus, a contributor to Forbes, 72% of the retailers in the US plan to reinvent their supply chain with real-time visibility enabled by automation, sensors, and analytics driven by Internet of Things. Internet of Things in conjugation with RFID (radio-frequency identification) and beacons are helping retailers substantially to alleviate the supply chain management challenges. With a better visibility of the processes and people over any Internet connected devices, store supervisors can ensure timely fulfilment of goods that customers demand. So your customers will never come across annoying “out of stock” board. The implementation of beacons allows you to merge the online and in-store shopping experiences. You can notify users via your retail mobile application regarding the location of your store, the latest arrivals, or events where you want them to see. However, while going with Android app development, you have one more advantage with Nearby Notifications. This allows you to target even those users who haven’t got your mobile app installed on their device. Android users passing by your store (within the range of your beacon) will get notified about you from the Nearby section of the Google Settings. However, the mobile app development company entrusted with the shopping app development task must have the expertise in connecting the shopping app with BLE beacons or BLE- capable smart devices. Do you still see mobile commerce as a competitor to your in-store retail business? 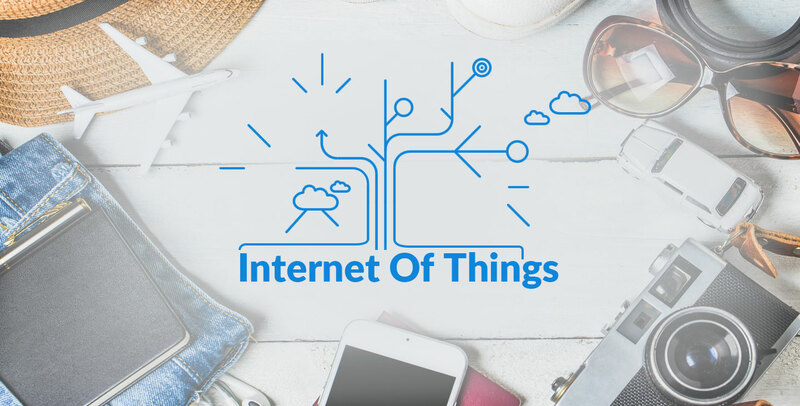 Investing in IoT application development and beacon technologies, gives you an upper hand in collecting real-time information on the shopper’s behavior. You can see what shelves customers are checking into, how long they take to make a purchase decision; you can figure out sections of your retail store that fails to get the attention of shoppers and, overall what perceptions they have about your store. Puzzled with managing multiple apps and their data? It’s time to sync all within a unified IoT app system. This helps with having a better visibility on the workforce productivity, eliminate bottlenecks, decrease operational cost, and augment sales and delight customers. Unified ecosystem lets you gain access to operational and actionable data on the location and condition of tracked objects. In an IoT-enabled ecosystem, retailers have one more advantage! They not just get a 360-degree visibility on supply chain and customer experience management, but also on how different equipment or components linked with lighting, air conditioning, etc. are working. The ecosystem alerts users of possible faults and make it relatively easier for concerned technicians to locate and correct the flaws. Conclusion: With IoT serving as a confluence of offline and online experiences, it becomes easier for retailers to serve customers enthusiastically, have a sneak peek into the expectation of customers and stay future ready, and come up with remedy for potential challenges. However, it does stem up a severe challenge regarding security and data privacy. In the wake of burgeoning security concerns and shift in privacy laws, you need to pay attention at not just securing the infrastructure but also complying with regulators. So, you have to brainstorm a lot while zeroing on the right partner from the growing list of Internet of Things companies out there.